The Power With.in - Your Online Resource for Conscious Living: Why Truth Does Not Matter to Majority? Why Truth Does Not Matter to Majority? It is well known that there is a time in your life when you come to a point where it seems that something is missing no matter what you do. You can do anything and everything, achieve all and yet something will be lacking, maybe not outside any more, because it will be all fulfilled, however something inside is empty which you can not fill from inside. At this part of life there are few ways that people lean to go. It is either they start sinking in depression, looking to add something more to somehow avoid seeing the space that it is still there no matter how much you put. Or there is a shift in life which a lot of people describe as spiritual experiences, etc. Material matters start to loose their importance or if not at least something else becomes also of our interest, since salvation from this uncomfortable lack and emptiness inside seems to be somewhere there. We all seen people who have nothing, but are absolutely content. So we immediately have the image and idea that this is possible. And if I have everything and can be content as those people even better.. Here is the point where it all starts. From our material trip we jump into spiritual trip. And we journey for a certain period of time, through different spiritual exercises and practices and ideologies and beliefs and so much more. But even here something feels that it's not quite it. Rarely people come quickly to a point where they can simply sit down and sigh out the air in the lungs with absolute gratitude for this very moment since it is so joyful and blissful just to relax and be here.. So the search continues.. And a lot of the time we simple get deluded by many different approaches and again get lost in another type of identity, another type of game. When we simply wanted to come out of the game.. Even though spiritual fruits may seem to be more sweet than material ones what is really chased for is Truth. Only Truth and Truth alone can set you free from all suffering and leave you in great joy and contentment, peace and so on..
Now how many people are ready for Truth? Or are they simply interested in lofty, profound sounding ideologies where I can simply belief that is so and that is enough. However this will not satisfy you eventually because you will get fed up even with that. Though most of the people simply want to settle for anything where they feel a relief at least for the time being. Are you interested to have a eternal relief where no more journeying is needed. Can You Truly Rest in Peace Now? It may seem of course, I think everyone would like that.. The reality is quite different however, because Truth is Free but you can not afford it, it is certainly not cheap. You must let go of all that you have, give up everything and only then you will find that you had nothing, but while doing this, you gain everything..
Not many people are interested in such way, they still one to hold on some spiritual achievement or belief, experience.. Whatever it is, they want to feel that this is what I got through my spiritual search..
That is why only a great minority people appreciate Truth, because it is simply, it is more than simply and it is nothing at the same time being everything. But are you ready for it? Or do you still want to go on and explore many different ways of spirituality rather than going straight to the Truth and then if you want go on and explore? I am holding a meeting on this topic this Sunday in Vancouver and I will be filming it, so I will share footage on it as soon as I get a chance to put up in internet. So if you are interested in Truth and Truth Alone, if you are that minority to whom only this matters. Stay aware and watch-full, because Truth will be presented, do you have the power to look at it and accept it? 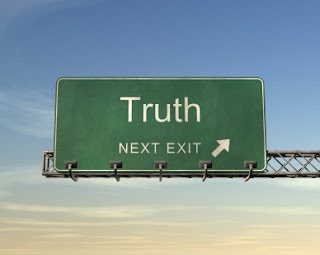 Where only Truth Matters. To Who does it really? Are You Ready for Truth?